Flattering Dress Styles For When Your Bridesmaids Are All Different Shapes! Because your bridesmaids won’t all have the same build, height, and style, it can be really difficult to find a dress that will accentuate all of their best features. So what are the most flattering dress styles for a group of bridesmaids that have different body shapes? Continue reading for a few tips so that every member of your bridal party can look beautiful and confident on your big day. Even though you may really want your bridesmaids to all wear the same dress, this may not be possible if you want every women to look and feel her best. Therefore, flexibility is the first and most important key to everyone’s happiness. If one bridesmaid needs a dress that’s a bit longer while another needs a dress that stops at the knees, that’s fine. Even if your bridesmaids have to wear dresses of different cuts, having this kind of flexibility will make the entire process go more smoothly. In fact, some brides are so flexible that they allow their bridesmaids to try on various dresses and choose their favourites, whether or not they end up matching in the end. Sometimes simply having the same colour dress on is enough to differentiate your bridesmaids from your guests. If you absolutely want your bridesmaids to match, no matter what, stick with styles that will flatter all body types. These include A-line dresses and those with empire waists. Whether your bridesmaids are plus size or really thin, very tall or very short, these cuts will accentuate their best features while downplaying any features that they may not feel so comfortable showing off. Even a shorter A-line skirt on a bridesmaid dress will flatter all body types, especially when the woman’s lower legs are toned. Your bridesmaids are also likely to have varying bust sizes. How can you find the ideal dress style for all of them? 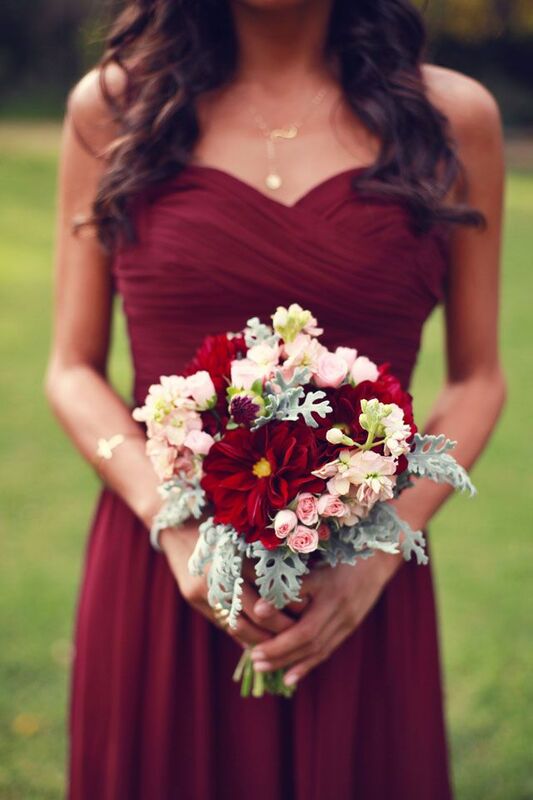 If your bridesmaids have smaller busts, a halter neckline would work beautifully. Another option would be a cute spaghetti-strap dress that’s feminine and light, or a cowl neckline, which is also great for girls with a pear shaped body. And, finally, a boat neckline is also flattering. For bridesmaids with larger busts, though, a scoop neckline works perfectly. But if you want every women to look fabulous, regardless of her bust size, sweetheart necklines are the way to go. This neckline will suit every shape, size, and figure. Off-the-shoulder cuts are also popular with all body types. With these helpful tips in mind, you can find the bridesmaid dresses that your entire bridal party will love to wear. And remember that you can find beautiful dresses on a budget, if necessary, just as you can search through UK Wedding Savings to find the ideal venue at the right price. So go ahead and have fun shopping with your girls, as this is everyone’s chance to bond and find the most flattering dresses that will make your wedding beautiful. Take A Peek At Some of the Wonderful Designs of Lulu’s Bridesmaids! Get inspired and take a peek at some of the wonderful designs of Lulu’s Bridesmaids. They carry traditional flavors but also more unique gowns that can serve up some fashion-forward energy. Scroll through some of our favorites below! Versatile, Convertible Gowns For Your or Your Bridesmaids! These wedding gowns from Monique Lhuiller’s Spring 2017 line were made for second time brides. Whether it’s a destination affair, elopement, vow renewal or another walk down the aisle, these designs will make you shine. Here are 10 of our favorites – and the some from the 2016 collection as well! Brace yourself for some of the most stunning designs we’ve laid our eyes on in a while. With a couture twist, these 10 Steven Khalil wedding gowns will take your breath away.